I grew up watching the Habs play on Hockey Night in Canada with my dad every Saturday night. It’s one of my fondest childhood memories. I love hockey, so naturally, I get very excited this time of year when the playoffs are about to begin! How cool would it be to host a Hockey Playoffs Pool in your classroom?! 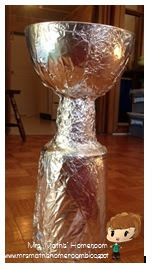 I woke up with the idea this morning and quickly made my own Stanley Cup for my own class (someday…). It was super easy to make! 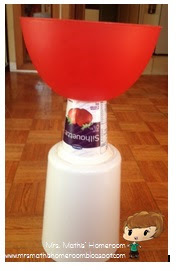 For mine, I used a plastic garbage pail that I found at the DollarStore (love that place! 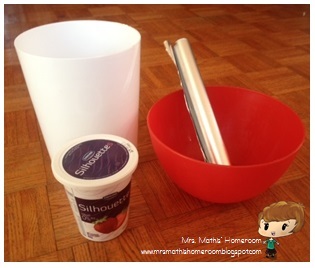 ), a large yogurt container, a large bowl and some aluminum foil. The entire trophy cost me about $5 to make! Finally, I covered it all in aluminum foil and glued the edges down. That’s it!! Simple, right? I figure that each year, I could write the name of the winning team and student(s) on a label and stick it on our classroom Stanley Cup! How fun would that be?! Naturally, I couldn't stop there. 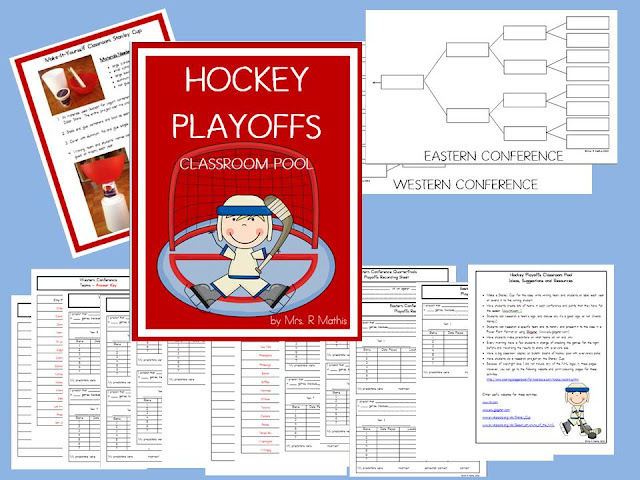 So, I created this awesome resource to use to help organize a classroom hockey playoffs pool. Everything you need is included (record sheets for quarterfinals semifinals, finals for both Eastern and Western Conferences, lists of teams, etc), as well as a list of ideas and suggestions, websites and instructions on how to make your own Stanley Cup. A few years ago, I was an EA in a classroom where the teacher did this kind of activity. The kids were so excited about it! What are you waiting for? Get your copy today at 50% off (until Tuesday)! The playoffs start on Tuesday, April 30th! Who's your favourite hockey team?